In South Africa, e-learning has been used in corporates for some time to develop employee’s skills – functional and behavioural – and knowledge. Increasingly, in recent years, we have also started to see Universities introduce online programmes as part of their degree or diploma offering, while a handful of Technical Vocational Education and Training (TVET) Colleges have begun to experiment with vocational skills e-learning programmes, alongside other programmes that they offer. 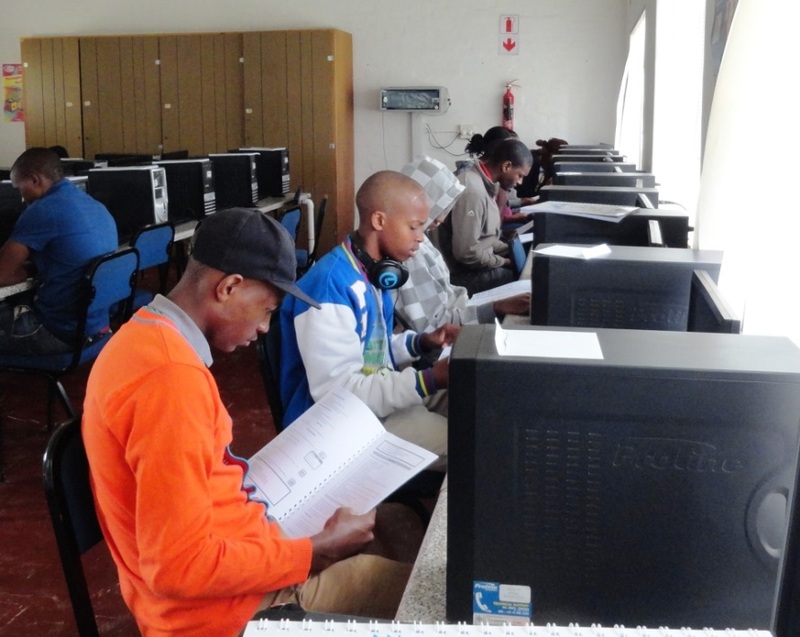 Few organisations in South Africa, however, offer online vocational training programmes specifically for school leavers or for young people who are in some kind of employment, but who wish to become skilled in a specific trade. The DG Murray Trust recently engaged with experienced online competency-based learning service providers – including Regenesys, GetSmarter and Allied Learning – as we believe that an opportunity currently exists to create a purpose-built online learning portal with curated, and developed content, to fill existing gaps. are South Africa’s future entrepreneurs and need to build specific knowledge and skills to act on their ideas. What are the benefits and challenges of e-learning? retention is better, perhaps accounted for by the self-driven, personalised experience that e-learning offers. While we absolutely must acknowledge the reality that the completion rates for distance learning programmes are typically low; that the learning experience for students can be lonely; and, that there appears to exist a mindset that says in order to learn you need a teacher, we are also swayed by the views of the late Peter Drucker who pointed out that “We used to think that teaching and learning were two sides of the same coin; in fact they are different processes altogether”. DGMT’s Enterprising School Leavers Portfolio hopes to contribute to the online vocational education and training debate by testing innovative models that match the learning needs of the student with the requirements of the workplace and the economic demands of the country. The question of whether this type of “teaching” will work in the South African context, remains unanswered. This year, our intention is to continue to investigate relevant existing content, some of which is being used at our Universities of Technology and TVETs. We have also become aware that some industries (Motor Manufacturing, for example) have e-learning content that they use for internal training, while exisiting portals such as www.worldwidelearn.com and www.seeklearning.com.au, which services inter alia the Australian TAFEs (Technikons) and VETs (which is similar to our TVETs) also seems to be widely used. We will explore these in order to understand how they are used. But, we also suspect that there is much that we might not be aware of. Hence, if you are currently using – or know of – online vocational/work-based training platforms that you think we should be looking at, we would appreciate hearing from you – Renisha@dgmt.co.za. But if e-learning is all they can get, it’s surely better than nothing.